My 28th trumpet student is a cohort—in fact, a Highly Capable Cohort. He lives in West Seattle, but he commutes to Washington Middle School (WMS) on Jackson Street in the Central District, where he is among other cohorts (i.e., friends, colleagues, companions, associates). HCC was formerly known as APP (Accelerated Progress Program). HCC students have achievement test scores at or above the 95th percentile and cognitive test scores at or above the 98th percentile. Wow, I’m impressed! We started his trumpet lessons on the last day of February in this Leap Year. We meet at a practice studio at Ted Brown Music in the University District (see http://www.tedbrownmusic.com). He’s been playing since 4th grade and is now a 7th grader. He’s also in his third year of piano lessons. 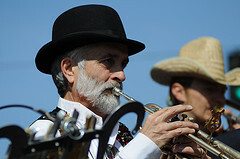 Trumpet is his primary instrument, but when the family inherited a piano, he started playing it out of curiosity and for pleasure. And he takes piano lessons, too. Obviously, he enjoys learning. At WMS (grades 6-8), there are four concert bands, conducted by Kelly Barr-Clingan, Director of Bands and Jazz and an active trombonist and vocalist. 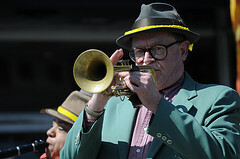 Please see http://washingtonmsmusic.com/wmsmusic.com/Welcome.html. My student plays in the Senior Band, and he enjoys movie sound tracks, especially Star Wars. Last year, he was a member of the All-City Junior Band. Last summer, he marched in three community parades: Renton River Days, West Seattle Hi-Yu Festival, and Queen Anne Days. On 26-28 May this year, the Senior Band, Senior Choir, and Senior Orchestra are giving four performances in the Vancouver, B.C. Heritage Festival. The trip is organized through Worldstrides, a leader in educational trips for students (see https://worldstrides.com/itineraries/vancouver-heritage-festival/). On 14 June, WMS will present its Spring Concert at Garfield High School, featuring all the senior groups. More than half of the school’s population is enrolled in the 13 daily music ensembles. In addition, there are four after-school music offerings. Wow, I’m impressed! Surprise! 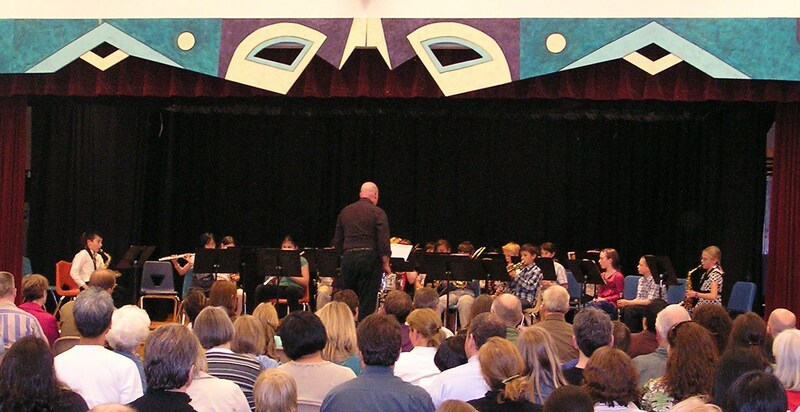 the condu ctor at the spring concert last night at an elementary school in downtown Seattle also conducted at the previous school concert I attended two weeks ago in North Seattle (see post below). He does double duty–whew! That would exhaust me. 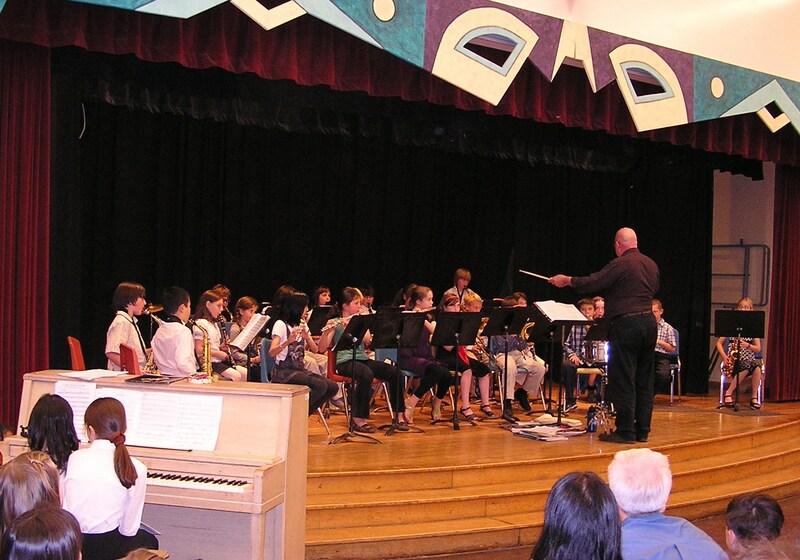 At this school, the music program consists of four parts: beginning strings, brass, and winds; intermediate winds and strings; advanced band and strings; and orchestra. For the concert program, there were 8 group performances. My fourth-grade cornet student is in the Intermediate Winds group, along with two trumpet players. I recognized his tone. He has progressed so fast and far this year! His group played “Sawmill Creek,” “Regal March,” and “Minor Rock.” He played well and was very well behaved the entire night.